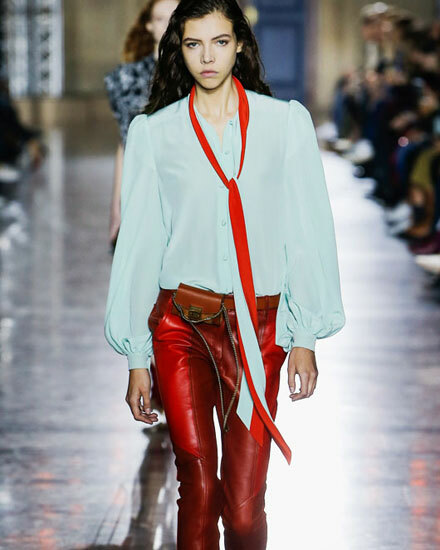 We first spotted this beautiful blouse at the Givenchy Spring 2018 runway and it immediately grabbed our attention. 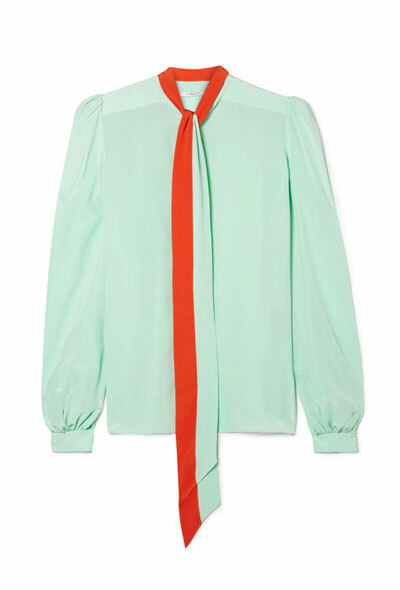 It’s one of those items that you can imagine yourself wearing multiple ways. 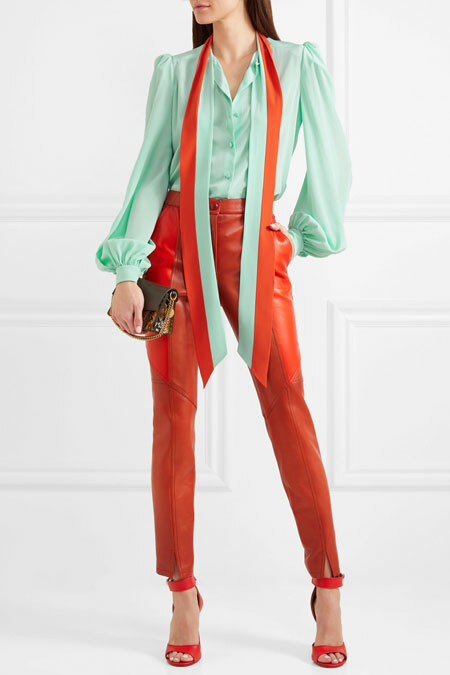 Perfectly transitioning from day to night, you can style the blouse with jeans and mules, a mini skirt and loafers, or a matching-color maxi skirt and heels for an elegant evening look. 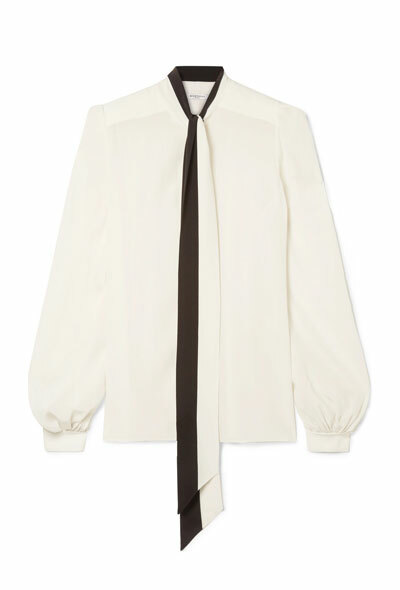 We love the edgy long two-tone self tie scarf that elegantly drifts away from the neck.